At Fertility Center of San Antonio, we meticulously evaluate our patients by taking a thorough health and lifestyle history and performing a full battery of diagnostic tests to determine possible sources of infertility before recommending infertility treatments. 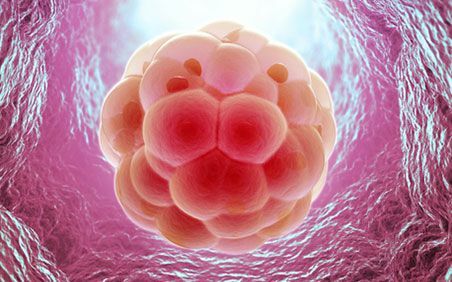 The comprehensiveness of the diagnostic process and the ability to pinpoint as many possible contributing infertility factors as possible are essential to successful fertility treatment. In large part, we attribute our exceptional success rates to our doctors’ commitment to this all-important diagnostic stage of treatment. Proper ovulation, the process by which the female partner’s ovaries produce and release an egg, is necessary to successful pregnancy. Ovulation disorders contribute to roughly one-quarter of all cases of infertility. Our doctors are experts at identifying and finding solutions to all types of ovulation problems at our San Antonio, TX fertility clinic. If you and your partner have actively been trying for between six months and a year to conceive a child without success, we invite you to schedule your initial consultation with one of our trusted, compassionate fertility experts at Fertility Center of San Antonio today. What Are the Most Common Types of Ovulation Problems? Anovulation: Anovulation refers to the complete absence of ovulation. Anovulation can occur in pre-menopausal women due to psychological stress, problems with the hypothalamus, eating disorders, and low BMI (body mass index). Oligoovulation: Oligoovulation refers to irregular ovulation. Women who suffer from oligoovulation experience infrequent ovulation in which their eggs are released sporadically. It is difficult for women with oligoovulation to determine their periods of fertility. What Are the Most Common Causes of Ovulation Problems? Polycystic ovary syndrome (PCOS): PCOS, a condition marked by an overabundance of male hormones, is the most common cause of female infertility. Symptoms include excess hair growth, weight gain, acne, and cysts on the ovaries. Problems with the hypothalamus: The hypothalamus is the part of the brain that helps control the pituitary gland, which in turn produces the hormones responsible for stimulating ovulation. Hypothalamic dysfunction can interfere with the production of these hormones. Luteal phase defect: This refers to the condition in which the endometrium, or the lining of the uterus, is not properly developed. Excess prolactin: If the pituitary gland produces too much prolactin, the body will reduce its production of estrogen, which can contribute to ovulation dysfunction and infertility. Tumors: Tumors of the ovaries or pituitary glands can cause ovulation problems. Fortunately, many ovulation problems can be treated, and it may be possible to restore fertility. It should be noted, however, that ovulation problems may not be the only contributing factor to a couple’s infertility and that further treatment may be necessary to promote successful pregnancy. To learn more about types of ovulation problems, their causes, and their treatments, please contact Fertility Center of San Antonio today.